For more than 20 years ARF has been finding responsible owners for homeless pets through a variety of programs run by many volunteers who are focused on saving as many animals as possible. 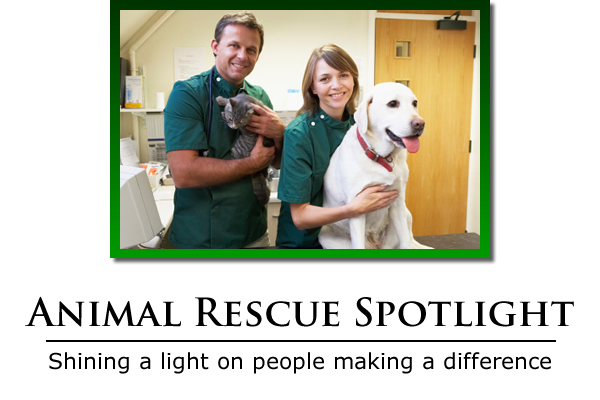 Their primary mission is to rescue pets from kill shelters and place them in forever homes. This past Summer, ARF acquitered the former Par 3 Club House at LaFortune for their new home. This building is being used as an adoption site for the dogs and cats rescued from area kill shelters. Located at 5201 S. Yale Ave., the club house has sat empty for many years until one of the ARF member helped to acquire this space and local businesses helped with the renovations. Visitors to the area, which includes a popular jogging track, have dubbed it “the duck pond building” because of its close proximity to the pond. Now it is an important part of Tulsa again and ARF is happy to rescue it and give it a second chance. Each Friday and Saturday, ARF brings a few of our animals to their local PetSmart for adoption. Our volunteers work the booth, which consists of showing the animals to people who are interested, and walking the animals every so often outside of the store. Valunteers are always needed to help at the ARF House at LaFortune Park, Wednesday through Sunday, 10 a.m. until 4 p.m. You can help walk the dogs, bath dogs, brush them, play with them, and assist people who are wanting to adopt an ARF dog or cat. Volunteering is a great way to get more involved in ARF, the community, and get furry loving from our adoptable animals. For more information, please visit the Animal Rescue Foundation website www.arftulsa.org to see how you can help this wonderful group help save even more animals from local kill shelters. YOU CAN MAKE A DIFFERENCE IN THE LIFE OF A DESERVING ANIMAL.